The Leicester Tigers match day experience is a fantastic way to get emerging rugby players further engaged in a great sport. There's no way better to finish off a fantastic day than watching a Premiership team compete at their home ground. For the ultimate matchday experience, try out our Matchday Coaching Clinics. 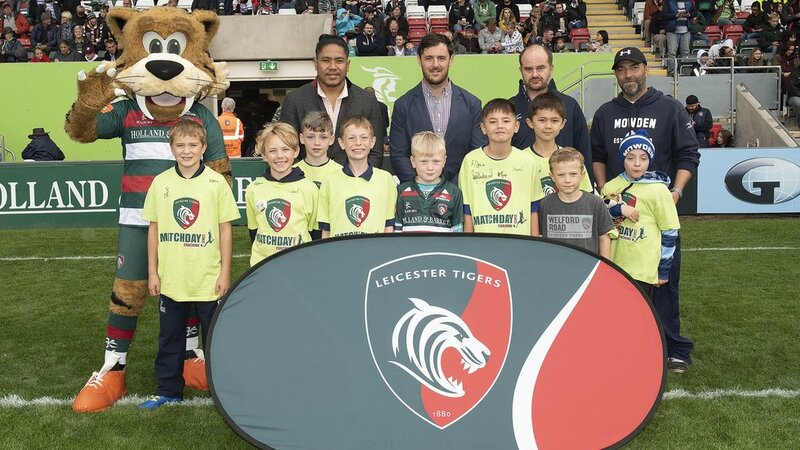 Open to groups of players, teams and clubs of all abilities, Leicester Tigers offers youngsters the chance to learn from the professionals, meet the stars as well as walk out onto the famous Welford Road pitch. On home matchdays, groups are invited to take part in a morning training session where they will get the chance to train under the guidance of professional coaches. Following the session, groups are joined by a current Tigers player for a Live Q&A where they can find out what it’s like to play for the most successful English rugby club. And the day’s not over yet! Packages include tickets to the afternoon’s fixture where groups take part in a half-time photo underneath the posts in front of all our fans. To see a preview of what to expect from your Matchday Coaching Clinic, watch the short video below.